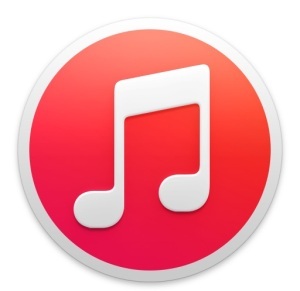 Using a little known folder buried within the iTunes directory, you can automatically add any compatible media to iTunes, be it songs, music, movies, just by placing files into the directory. This gets even better when you point downloads to that directory, because all downloaded media is then immediately synced to iTunes with no user interaction. Anything dropped into that folder imports into iTunes immediately. Next you will want to point downloads to that aliased folder, so open your torrent clients, SoundCloud, web browsers, or where ever else you are getting media files from, and change their respective download directories. You can also change the name of the user ~/Downloads directory and move the aliased “Automatically Add” folder in it’s place, but that isn’t the best idea if you download other files too. Once you have apps pointed at the folder, all completed media files will now go directly to iTunes with no user involvement, copying, clicking, nothing, everything is automatic. This is an excellent way to have files downloaded from the web, newsgroups, torrents, etc, synced directly to your iTunes library, which can then go right to iOS devices. This should work with nearly all versions of iTunes and all versions of Mac OS X. While the guide is geared towards Mac users, the folder probably exists and works the same in Windows too, though you’ll have to make a shortcut instead of an alias. Enjoy! Me again. I created the alias and copied two files to it. One of them could not be added to iTunes and created a folder named “Not Added” to which empty folders were added every 3 seconds or so. I deleted the unaddable file and the “Not Added” folder. The good file did get picked up by iTunes. Evidently care is needed in using this folder. What happens if you put a file there (such as a pdf) that cannot be added to iTunes? Unsupported files won’t be added. Pretty simple, just stick to media like music and movies. Did you actually try it and see what happens? When I did it, it seemed to try to add it every 3 seconds or so and, when it failed, created a subfolder in a folder called “Not Added” – so of a weird log. It works A-OK in Windows Ultimate x64 as well. Just create a desktop shortcut to the folder ‘Automatically Add to iTunes’ and drag & drop your iTunes compatible song etc. or point to the folder for auto transfer. can this trick work with other files that are compatible with iTunes such as a downloaded YouTube video in MP3 or MP4 format? As long as the filetypes are compatible with iTunes I don’t see why not. Is there any way to set the “Media Kind” in iTunes to “TV Show” when doing this? It defaults to “Movie”, which is OK, but it would be nice to have the option. is there a way to avoid placing downloads in the ‘automatically add songs’ folder and just have your download go directly to itunes? Is the folder supposed to work if your iTunes library is located on an external drive? I’ve put a few things in there now and they just sit there, never getting added to iTunes.